Walking With The Wounded's employment programme helps to secure positive employment outcomes for unemployed veterans. Our Employment Advisors are embedded in veteran supported accommodation residences or with NHS regional veteran mental health teams, helping unemployed veterans to find employment and rebuild their lives. Advisors help to build confidence, organise work placements, source funding for any required training and ultimately assist in securing sustainable employment. Some Advisors are also located in homeless residences across the UK in Bristol, Glasgow and Dundee, Edinburgh, Catterick, Aldershot, Manchester and London. 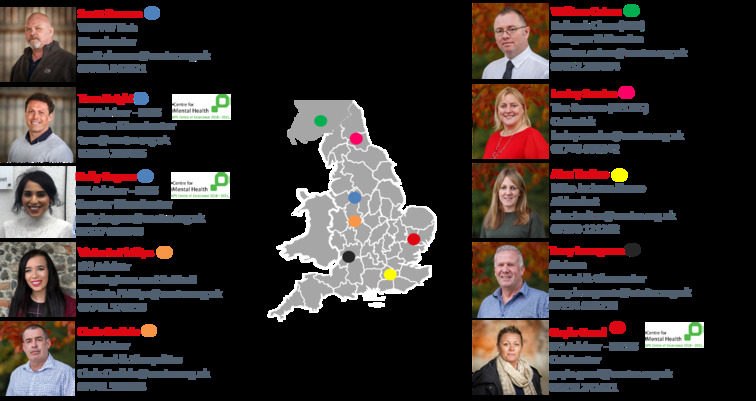 In the West Midlands, the North West and the East of England, our Advisors are also work alongside the Veterans Mental Health Network Transition, Intervention and Liaison Services (TILS). These Advisors also offer Individual Placement and Support (IPS) to assist veterans who are unemployed and also struggling with their mental health. In 2018, Walking With The Wounded was recognised as an IPS Centre of Excellence for Veterans by the Centre for Mental Health - the first of its kind in the world. The award recognises the IPS service provided to veterans by WWTW in both Essex and Manchester, in partnership with other local and regional military and mental health organisations. What is IPS? Click here to find out more. Over 600 individuals received employment support through Home Straight in 2017; which brings the total supported to over 1000 since the programme began in 2014. During the year, 165 ex-servicemen and women were supported into paid employment and over 100 more were supported to another positive outcome, such as a work placement, volunteering placement or apprenticeship. Working in partnership, Walking With The Wounded has developed employment pathways to support ex-servicemen and women into new careers.